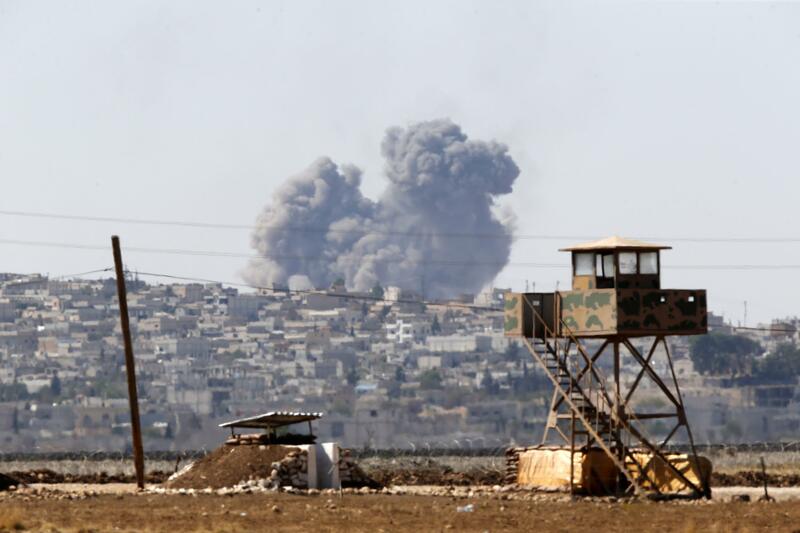 ISIS, Kobani: Takeover of city near Turkish border anticipated. An air strike in Kobani. The US-led coalition has launched several air strikes over the past two weeks near Kobani in a bid to help Kurdish forces defend the town, but the sorties appear to have done little to slow Isis, which captured several nearby villages in a rapid advance that began in mid-September. Hours after two Isis flags were raised on the outskirts of Kobani on Monday, the militants punctured the Kurdish front lines and advanced into the town itself, said the local co-ordination committees activist collective. Turkey, which is a member of NATO, has no current plans to intervene in the war on its border or to join the coalition of countries supporting anti-ISIS forces, Reuters says.